Welcome to World Health Worker Week 2015! Welcome to the Third Annual World Health Worker Week! Organized by the Global Health Workforce Alliance, WHWW is a chance for us to talk about, support, appreciate, and raise awareness of the critical role that health care workers play around the world. Here at HAI, supporting the global workforce is a part of our DNA – from our very mission to our advocacy efforts and the principles outlined in the NGO Code of Conduct, we see this as the fundamental mandate of our organization. For the second year in a row, we’re going to be presenting you stories from the front line of health workers around the world. We want to highlight the amazing work that health care workers do every day as well as discuss some of the challenges they face as they do their jobs. Health workers both treat and educate their communities. They provide immunizations and treat common infections. They also teach their communities simple ways to prevent the biggest threats to their community’s health: diarrhea, pneumonia, malaria, HIV, and tuberculosis. 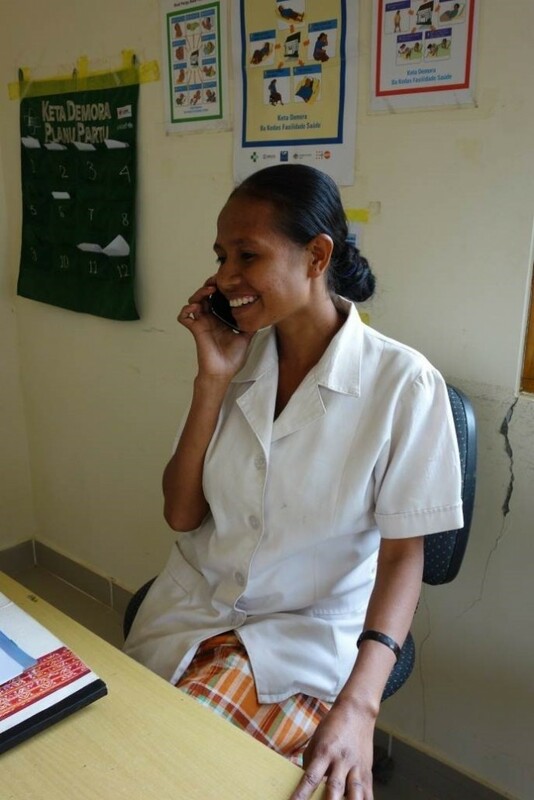 As the first point of contact, health workers are also able to recognize conditions that require higher levels of care, and can refer their patients to another medical professional. At HAI, we work side by side with these incredible professionals every day. In doing so, we can’t help but remark that there is an enormous problem related to health care workers: simply put, there just aren’t enough people at the health sites where people need them the most. 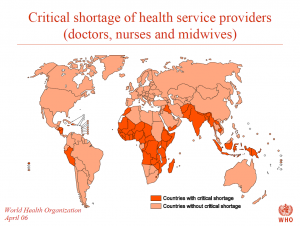 The World Health Organization has estimated that the world faces a shortage of about 7.2 million health care workers that are needed to provide universal health coverage. If nothing is done, by 2035 that number will be almost 13 million. It won’t be simple to solve the global workforce shortage, especially in poor countries. 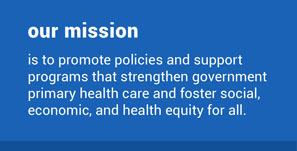 Achieving universal health care will require a complicated set of interventions and participations from all sectors, including high level political, policy, and financial commitment from national governments and international funding agencies; high quality, accessible medical education for a new generation of health care workers; and also the evidence-based practices contributed from fields of science and technology to ensure that high-tech innovations translate into on-the-ground implementation. NGO partners like HAI can help support health care workers through policy and advocacy work like signing the NGO Code of Conduct for Health Systems Strengthening, which holds NGOs accountable for supporting the public sector and not contributing to the brain drain of qualified health care workers. We can also work alongside partners such as the Frontline Health Workers Coalition, who are pushing to ensure that health workforce language is included in the upcoming Sustainable Development Goals.